WOSM is an independent, non-political, non-governmental organization that is made up of 164 National Scout Organizations (NSOs). These NSOs are located in 224 countries and territories around the world. With over 40 million members in some one million local community Scout Groups, WOSM is one of the largest youth movements in the world. 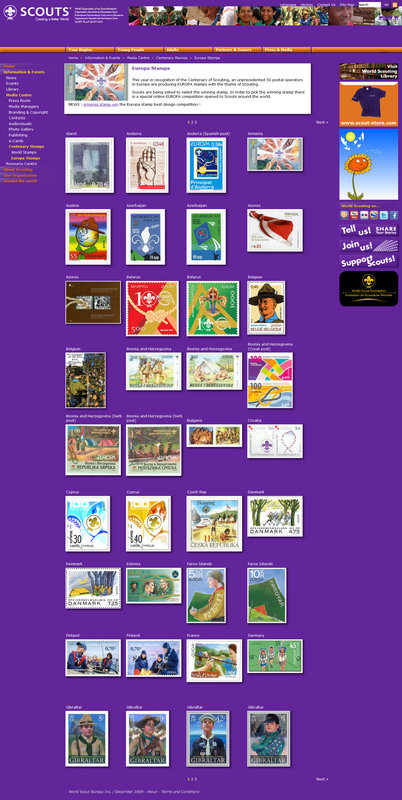 During Scouting's 100th Anniversary Year, 2007, many countries honored Scouting by issuing commemorative postage stamps. 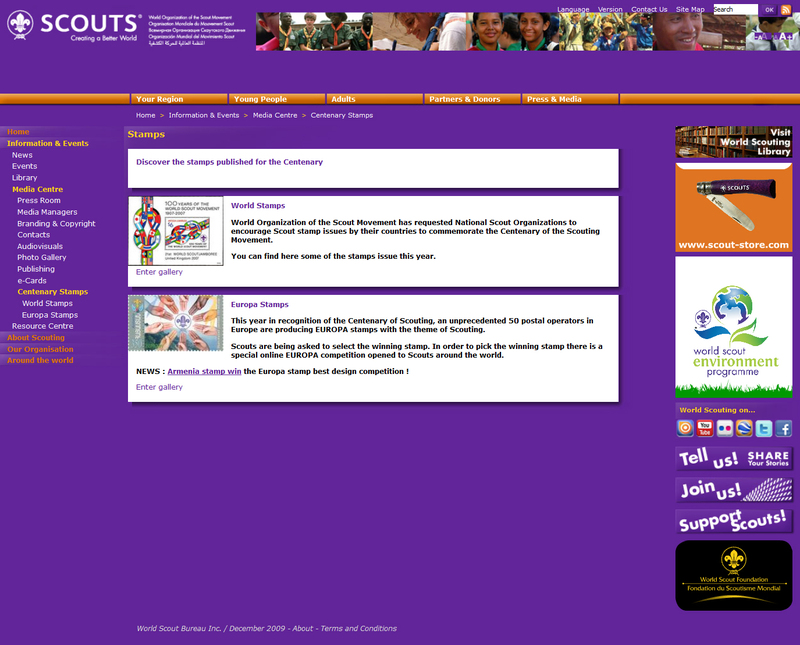 WOSM pictured many of these Scouting stamps on their website. Although these pages have now been removed, we do have a couple of screen copies of these pages.